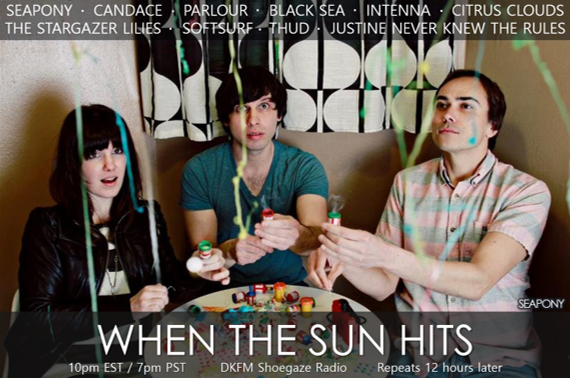 Your resource for all things shoegaze and dream pop: TONIGHT: WTSH airs on DKFM! Stream it live 10pm EST/9pm CST. TONIGHT: WTSH airs on DKFM! Stream it live 10pm EST/9pm CST. TONIGHT! Spinning wins by Justine Never Knew The Rules, Bellavista, Black Sea, Citrus Clouds, vhs dream, softsurf, Seapony, The Stargazer Lilies, Thud, Candace, Intenna, Bleach Dream + MORE!